LOS ANGELES (Jan. 15, 2019) — The Atlanta Local of SAG-AFTRA is set to host the first-ever Atlanta EGOTS Exhibit inside the Tony® award-winning Alliance Theatre at the Woodruff Arts Center on Saturday, Jan. 19, 2019 from 6 p.m. to 11 p.m. ET.  In honor of the 25th Screen Actors Guild Awards®, the exhibit will feature the SAG Awards Actor® as one of five top American performance awards, alongside the Emmy®, Grammy®, Oscar®, and Tony® awards. The Atlanta EGOTS Exhibit will offer free admission to the general public. Attendees will be encouraged to take pictures with the awards and post to their personal social media accounts using the hashtag #sagawards. The location of the exhibit is appropriate because Atlanta is also home to Turner, the parent company of the SAG Awards broadcast partners. The 25th Annual Screen Actors Guild Awards will be nationally simulcast live on TNT and TBS on Sunday, Jan. 27, 2019 at 8 p.m. ET / 5 p.m. PT. The 2018 Southeast Chapter Governors Emmy Award, presented to Ric Reitz in tandem with Melissa Goodman, Wilbur Fitzgerald, and Shay Griffin for outstanding achievement and dedication to broadcast television. The 1962 Oscar for Best Original Song, awarded to Johnny Mercer and Henry Mancini for “Moon River,” which appeared in the 1961 motion picture Breakfast at Tiffany’s. The 2007 Regional Theatre Tony Award, presented to Alliance Theatre. The SAG Awards Actor® statuette, emblematic of the award-winning cast of Stranger Things and the importance of Georgia as a filming location. SAG-AFTRA represents approximately 160,000 actors, announcers, broadcaster journalists, dancers, DJs, news writers, news editors, program hosts, puppeteers, recording artists, singers, stunt performers, voiceover artists and other professionals. SAG-AFTRA members are the faces and voices that entertain and inform America and the world. With national offices in Los Angeles and New York and local offices nationwide, SAG-AFTRA members work together to secure the strongest protections for media artists into the 21st century and beyond.